An al-Qaeda commander freed in a prison raid that took advantage of the chaos engulfing Yemen has been photographed sitting in the office of the local provincial governor. Khaled Batarfi was among hundreds of prisoners freed when fighters from Al-Qaeda in the Arabian Peninsula (AQAP) swept into the prison, in the Yemeni port city of Mukalla on Thursday morning. He had been held for four years, after being captured as AQAP swept across southern Yemen, seizing Abyan province, of which he briefly became "emir". They were later pushed back by the new government of President Abd Rabbu Mansour Hadi, but he has been forced to flee the country after a Shia-militia backed by Iran known as the Houthis allied to former President Ali Abdullah Saleh took over much of the west of the country. The rest of the country has been left powerless to fight an AQAP counter-attack. As well as opening up the prison, AQAP fighters seized much of Mukalla, which is the capital of Hadramaut province, a wild and beautiful area run largely by its tribes which contain a number of AQAP sympathisers. 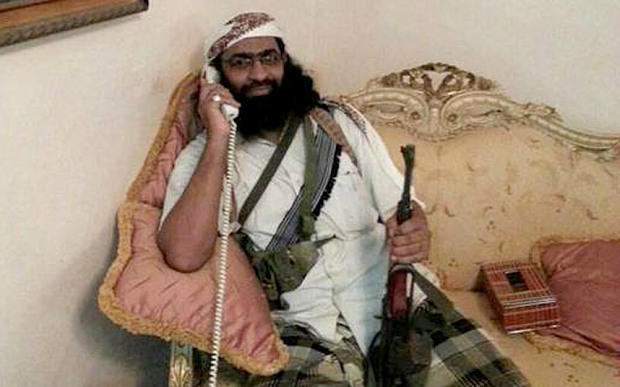 The pictures of Batarfi sitting in the former governor's palace, apparently issuing orders by telephone, demonstrate the dangers to the rest of the region and the West from the fighting in Yemen. 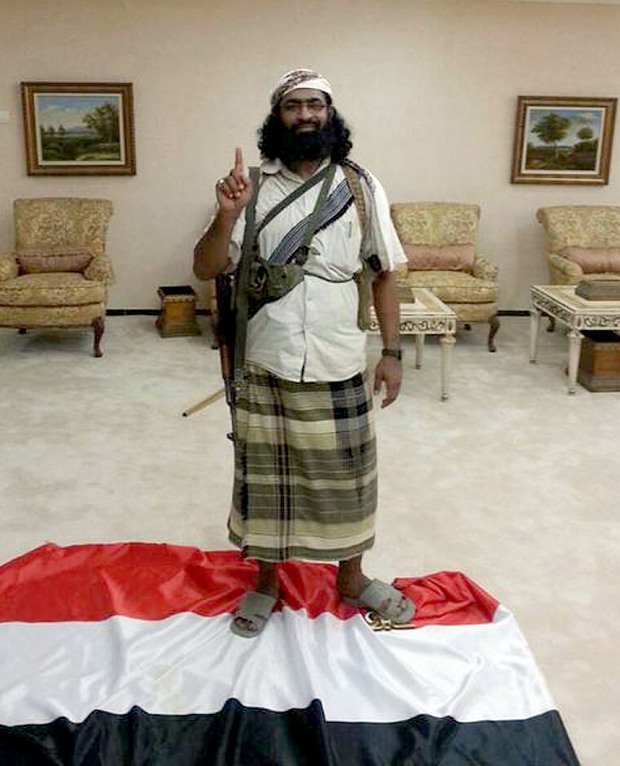 In another picture, he tramples on the Yemeni national flag as a mark of disrespect. AQAP are responsible for some of the group's most notorious attempts on the West - including the "underpants bombing" attack on an airliner above Detroit on Christmas Day 2009 - and the United States as well as Mr Hadi's allies in neighbouring Gulf states were relying on him to unite the country against the group. The film has broken records, and now it's inspiring beautiful baking. Here are some of our favourites. Great quotes from White House incumbents: will Donald Trump be joining them? Previously unseen photographs of Britain's most notorious twins. The book: The Krays From the Cradle to the Grave has been released in what would have been the twins' 80th year.